Don Rickles, a great insult comic and a WWII Navy veteran, passed away at age 90 today. Note: Don Rickles was a great comic. I saw him perform in Los Angeles many years ago. 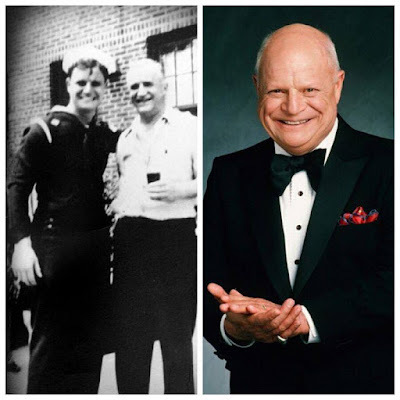 I was in the Navy then so I had short hair and I wore a fairly conservative sport jacket and shirt (for the time), yet Don Rickles looked down at my table and said to me, "What are you dressed up for? Halloween is over!" He got a big laugh at my expense, but I laughed as hard as anyone else. He will be missed.